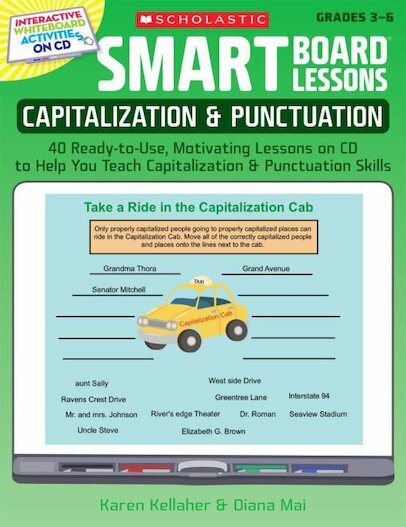 Liven up grammar and punctuation lessons with this book and CD that take full advantage of the SMART Board’s interactive features. The CD contains five units on capitalization, sentence stoppers, commas, quotation marks, and apostrophes. Students can easily move, highlight, underline, and change text right on the board. Step-by-step mini-lessons in the book correspond to the Notebook files on the CD. A surefire way to motivate and engage every student! For use with Grades 3-6.